Steve Wilson is a multimedia designer and has worked in advertising for over 25 years. A prior service Marine, he now serves in the Air Force Reserve as a senior NCO, and is a veteran of Iraq and Afghanistan. In 2010, he was named the Air Force Reserve Air Transportation NCO of the Year, and has been awarded the Air Force Commendation Medal and the Meritorious Service Medal. His ties to the military have taken him all over the world, and he has visited the former Soviet Union on multiple occasions. 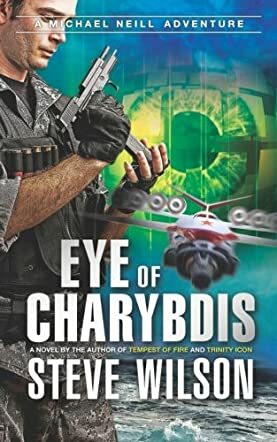 Author Steve Wilson delights readers with his fourth Michael Neill Adventure in Eye of Charybdis. When Marine Corps Lieutenant Michael Neill and his love interest, Marine Staff Sergeant Christina Arrens, struggle to find a way to come together in an organization that forbids their union (at least as things stand), Neill prepares for another clandestine operation. He is named part of a team that seeks to solve the mystery of a downed commercial airliner. Given the resulting death of all of its passengers, governments around the world, including the U.S. government, wonder who is responsible, and what political and/or military actions may be appropriate to take in response. Before long, evidence suggests that the Russians are experimenting with a massive airplane that flies just above the ocean, and that is outfitted with a weapon that can send an electro-magnetic pulse to disrupt, or even to destroy, the electronics used to operate surrounding air- and sea-craft.